Heal The Planet in Fort Lauderdale. Behind the Book – New York: Aligned with JetBlue For Good’s youth and education pillar, Behind the Book brings authors and their books directly into New York City public school classrooms as part of a comprehensive literacy program to get students excited about reading and writing. Through a series of workshops, students read a book, meet that book's author, learn about the writing process and create final art and writing projects. Since the organization's founding in 2003, they’ve served more than 14,500 students and donated more than 40,000 books. 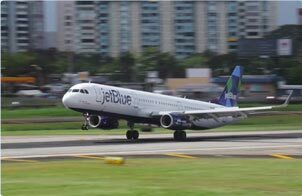 The JetBlue For Good Grants were the latest efforts of JetBlue For Good, the airline’s platform for social impact and corporate responsibility. During November, JetBlue hosts JetBlue For Good Month, a month of kindness and good deeds. This year’s celebration included the JetBlue For Good Grant contest which also builds on the airline’s Destination Good trip that will fly a plane full of winning do-gooders to a mystery location for a four-day volunteer experience departing on Giving Tuesday, November 27th.